LOW PROFILE DESIGN: 2.9-inch/7.6cm thin mini profile helps to clean under bed and sofa where dirty hides by sweeping and suction. LOW THAN 75DB NOISE: it’s quite while working and will not disturb your rest or your normal daily life. SENSOR ANTI-COLLISION& 15 DEGREES CLIMBINGS: Vacuuming robot is powered by a full suite of smart sensors that automatically guide the robot around your home. Infrared-sensor for evading obstacles and drop-sensing tech to avoid dropping. The large wheels are specially designed to work on the rough floor. It can also steadily climb 15-degree slope; suitable for wooden floor ceramic tile, carpets. DUAL BRUSHES W/ Higher SUCTION: robotic floor cleaner has 2 extended brushes under its body for sweeping the dirties on hard floors, along walls or in the corner. 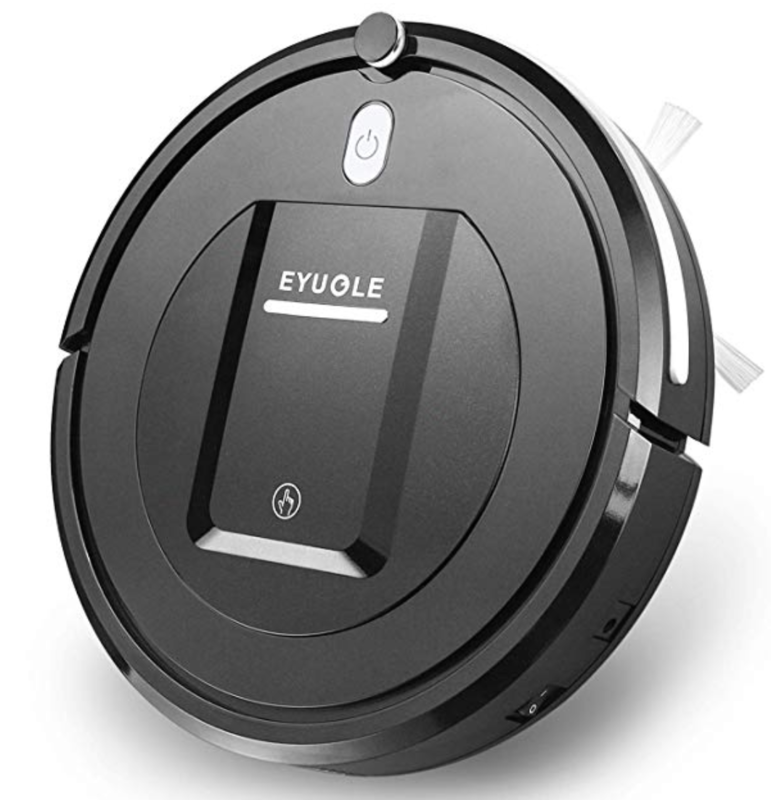 Matching with powerful suction, the robot cleaner can offer a more effective work. NOTE: it’s best for hard floors and soso for very thin carpets. CLEANING MODES: Auto Mode–a thoughtful way that using a systematic back-and-forth cleaning path when cleaning hard surface floors ; Focus Mode–focus in one place; Random Mode–cleaning everywhere indoor irregularly and randomly.